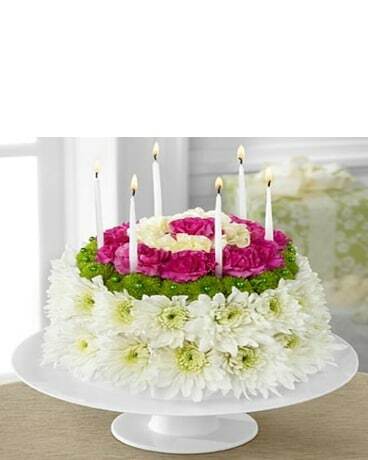 Celebrate with a Floral Cake. Fresh seasonal flowers, complete with candles delivered to your door. A unique way to say Happy Birthday.